Have Fun! Keep your letters positive and uplifting. Tell them about yourself. You can include your age, hobbies, favorite food, favorite sport, and of course your pets! Do not give your home address, email or phone number. You can use your school address. Do not seal your letters in individual envelopes. Click the Flag to Download DEAR AMERICAN HERO Stationary. Click on the picture to download our BACK TO SCHOOL stationary. Click the picture to download our DOG TAG stationary. 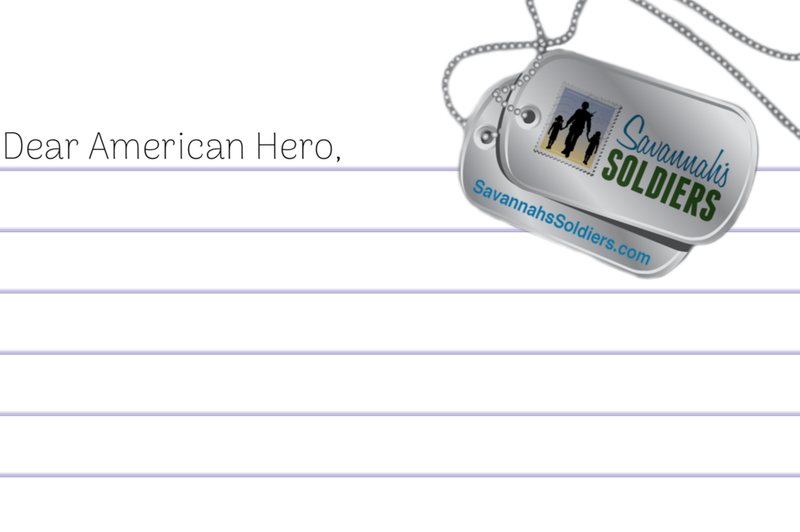 Click on the picture for Savannah’s Soldiers assorted COLORING PAGES.